Experience the convenience and versatility of the Xbox One Kinect Sensor on your Xbox One S or Windows PC. 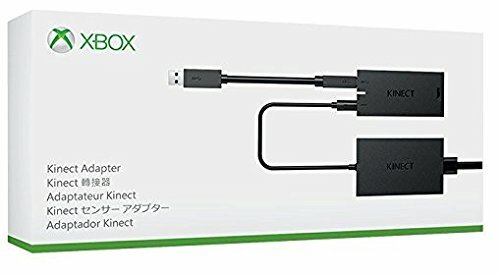 Whether you want to navigate your new console without lifting a finger or develop interactive apps on PC, the Xbox Kinect Adapter will make it happen. Play games where you are the controller on Xbox One S and instantly capture screenshots or game clips. Connect to a Windows PC via USB 3.0 and craft experiences that are more natural, personal and engaging, taking advantage of the sensor’s advanced skeletal tracking, enhanced noise isolation, and 1080p HD camera. With Kinect, it’s your opportunity to transform entertainment, education, healthcare, and more. * Kinect sensor required; sold separately. Windows 8, 8.1, or 10 required for PC. See kinectforwindows.com. Certain features, including voice commands, only available in some regions, see http://www.xbox.com/en-US/xbox-one/feature-availability.